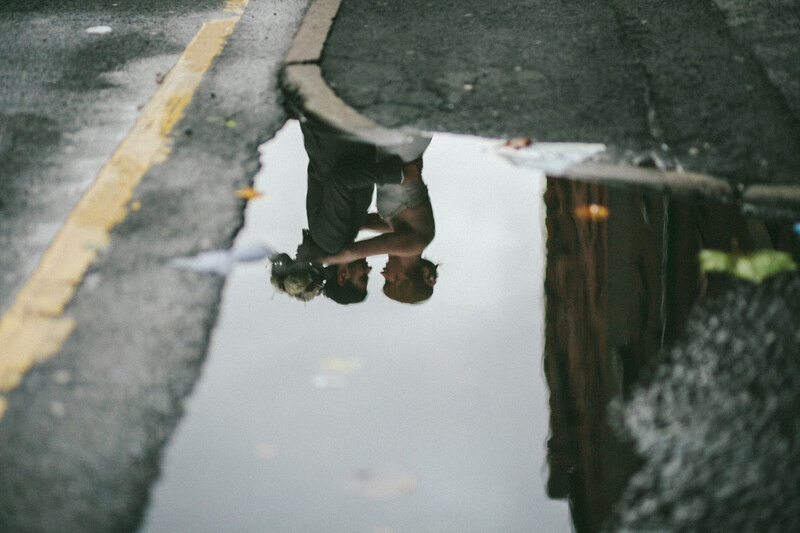 I’m guessing by the fact that you’re here that you’ve decided to get married in Manchester…top choice! Manchester is one of my absolute favourite cities in the world (I’m lucky enough to live here) and an absolutely fantastic place to have your wedding. I love how varied the wedding venues across the city are from the Deaf Institute (I’m a bit of a music fan), the Albert Hall (there’s that love of music popping up again) and Victoria Baths to the beautiful Town Hall and, of course, the art galleries and the large selection of hotels. In fact, I love Manchester so much that I got married here myself at Lock91. A former lock keeper’s cottage tucked away by the side of the canal. My documentary wedding photography style captures your guests as you know them – full of laughter, having fun and celebrating with you. I spend most of the day photographing in this candid style and then spend a bit of time with you both capturing some natural, cool and creative portraits. One of the best things about having a wedding in Manchester is the variety of photographs you can get within a short time frame (and without having to walk too far from the party). The city is full of great areas to get some fantastic urban photographs – from the canals around Castlefield to the cool and creative Northern Quarter and the more slick and chic Spinningfields. 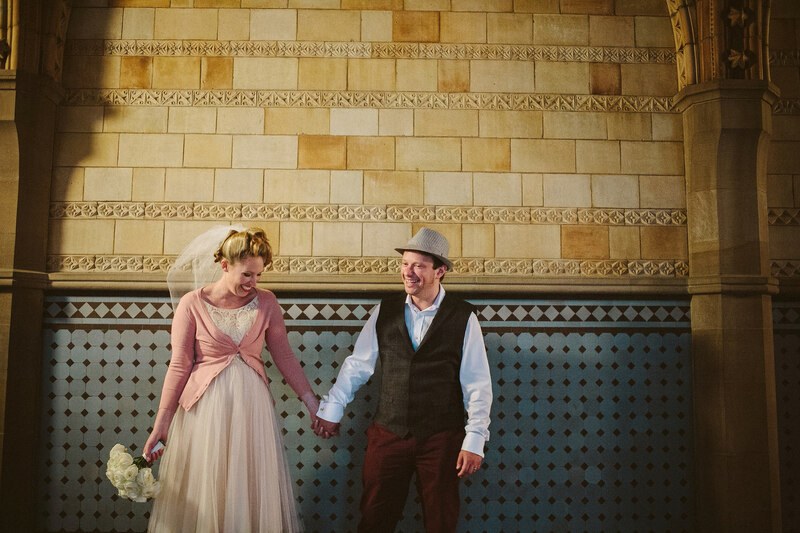 I’ve put some links to some of the Manchester weddings I’ve been lucky enough to photograph. 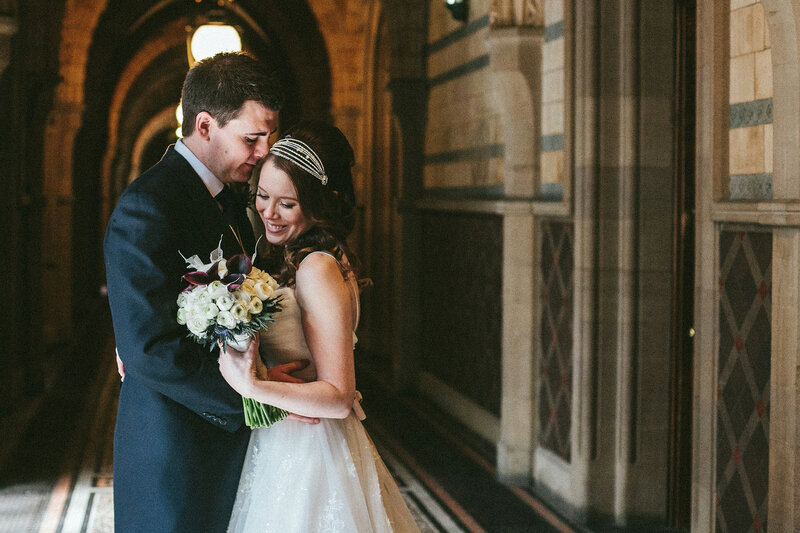 This page showcases a few examples of my wedding photography work across the city of Manchester. For more photographs take a look through my blog. To have a chat about your Manchester wedding photography please get in touch.